Natural salt scrub is made on the basis of the healing mineral Shungite , sea salt and the complex of the most valuable vegetable oils. 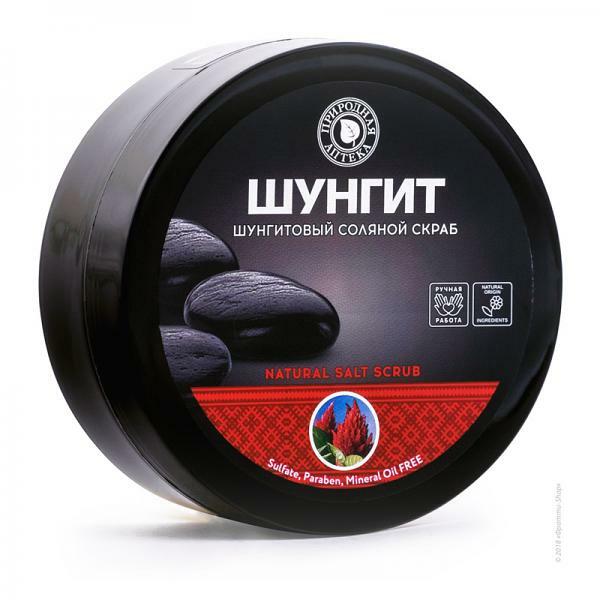 Scrub effectively cleanses and smoothes the skin, makes it smooth and elastic, prevents its premature aging. Karelian Shungite has a pronounced antioxidant and anti-inflammatory activity, stimulates the regeneration of skin cells. Natural oils of krambe, amaranth, pine nuts intensively nourish and moisturize the skin.